IPF Approved. Exclusive to Titan Australia, the Brahma™ Ozarks Croc Embossed Gold Lever 13mm belt! 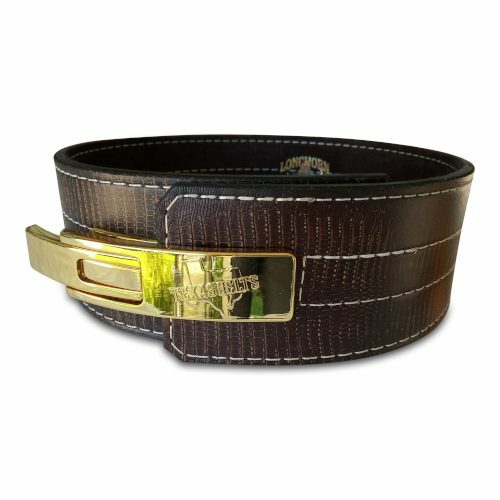 This belt uses premium quality cowhide embossed with the texture of the American Crocodile and tanned with pigmentation found throughout the Ozark highlands and Appalachia. Exclusive to Titan Australia, the Halcyon Croc Embossed Brahma™ 13mm belt with Gold Lever! 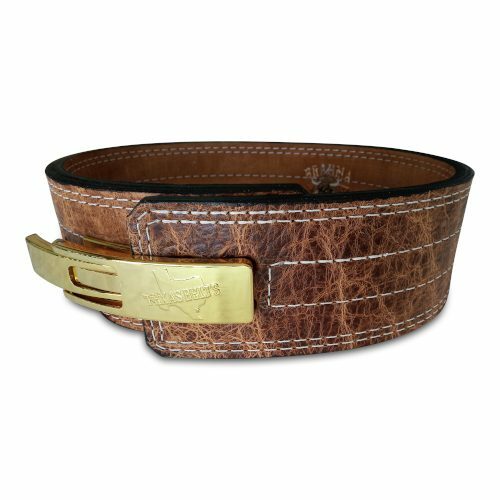 This belt uses premium quality cowhide embossed with the texture of the American Everglades Crocodile and tanned with a rustic/gold finish. IPF Approved. Exclusive to Titan Australia, the Halcyon Croc Embossed Brahma 13mm belt with single prong! 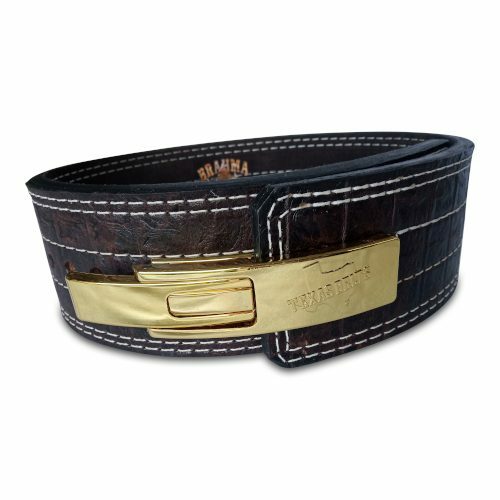 This belt uses premium quality cowhide embossed with the texture of the American Everglades Crocodile and tanned with a rustic/gold finish. IPF Approved. 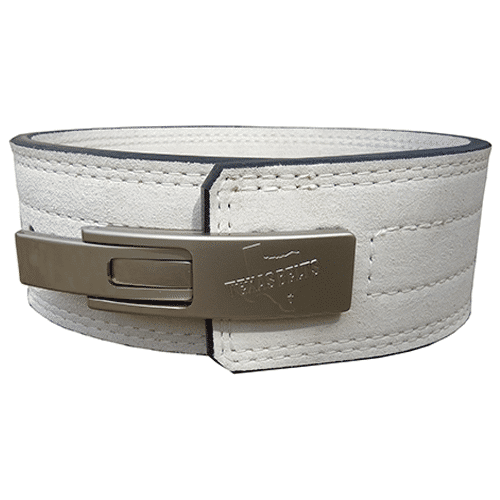 Exclusive to Titan Australia, the Mojave Lizard Embossed Longhorn™ belt with Gold Lever! 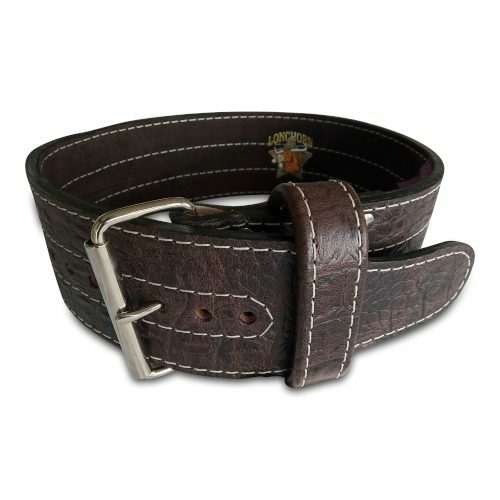 This belt uses premium quality cowhide embossed with the texture and pigmentation of Mojave desert horned Lizard species. IPF Approved. Exclusive Halcyon Croc Embossed Longhorn™ 10mm belt with Gold Lever! 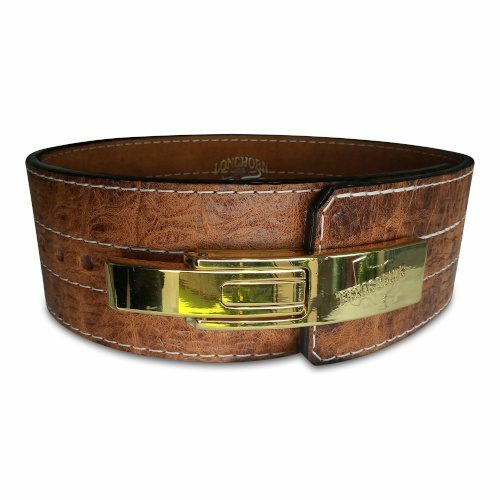 This belt uses premium quality cowhide embossed with the texture of the American Everglades Crocodile and tanned with a rustic/gold finish. IPF Approved. Exclusive to Titan Australia, the Longhorn™ Ozarks Croc Embossed single prong 10mm belt! 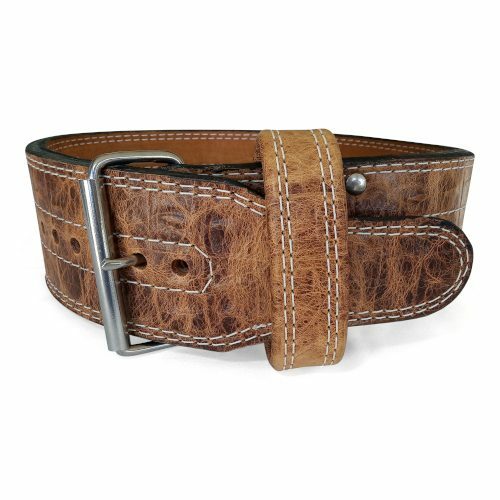 This belt uses premium quality cowhide embossed with the texture of the American Crocodile and tanned with pigmentation found throughout the Ozark highlands and Appalachia. IPF Approved. 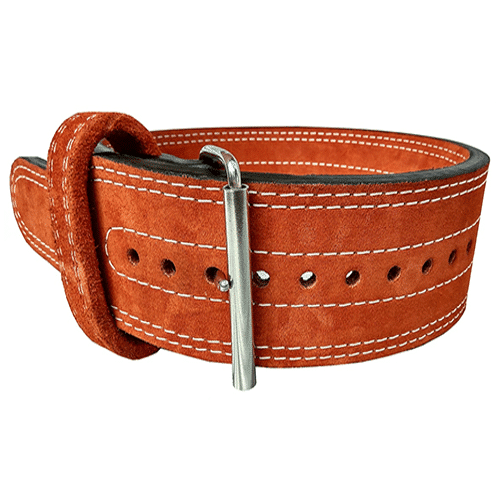 True 13mm belt expertly finished in exotic American Bison. Made in Texas by our experienced craftsmen. Durability reinforced with our lifetime warranty. IPF Approved. True 13mm that will not shrink with age. Made from the finest Longhorn cattle in Texas. Prebroken and ready for use. Our craftsmanship is certified with a lifetime warranty. IPF Approved. 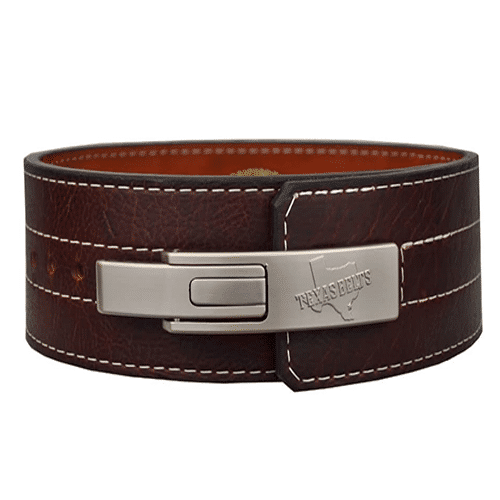 Texan flair emanates from this true 13mm Brahma belt. 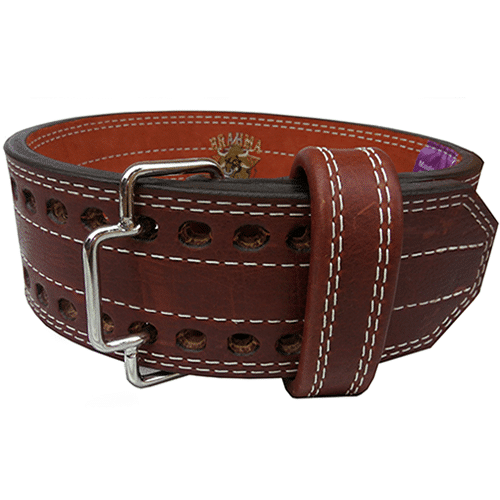 With locally forged steel buckle and the finest in Longhorn Cattle hides - this belt is made to last your lifetime. Our expert craftsmanship is reinforced with a lifetime warranty. IPF Approved. Longhorn belt in exotic American Bison. All Bison hides are sourced from native Indian tribes who are permitted to hunt these majestic creatures. Lifetime warranty. Limited availability due to scarcity of hides. IPF Approved. 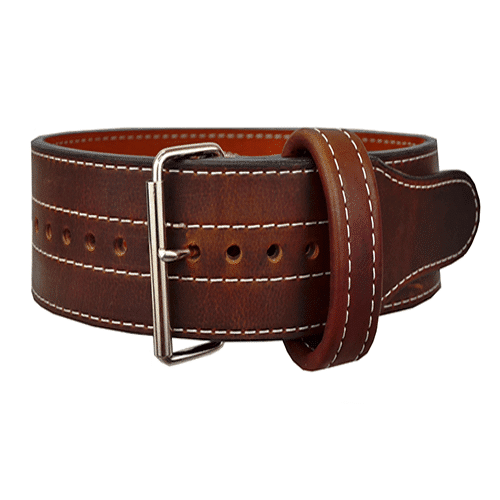 Texan flair emanates from this true 13mm rust tanned Brahma belt. 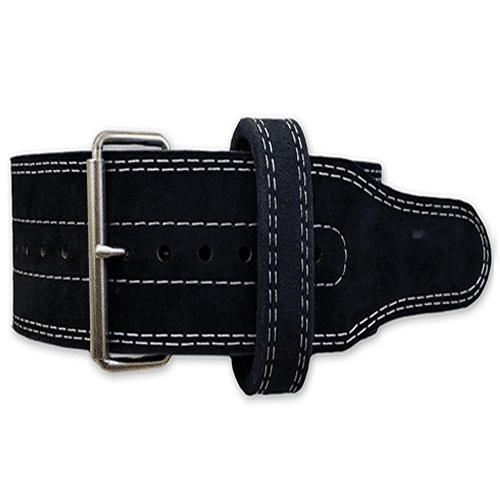 With locally forged steel buckle and the finest in Longhorn Cattle hides - this belt is made to last your lifetime. Our expert craftsmanship is reinforced with a lifetime warranty.